As most folks are already aware Microsoft Teams has a dramatically different architecture to Skype for Business, gone is the baggage that came with on-premises technology – Teams is built for cloud first so with that comes a number of changes, one of which is the meeting URL. The first thing that you will notice when you create a Teams meeting is that it is presented with percentage encoding, this is the first thing we’ll need to strip out or decode prior to deciphering the Teams meeting URL. 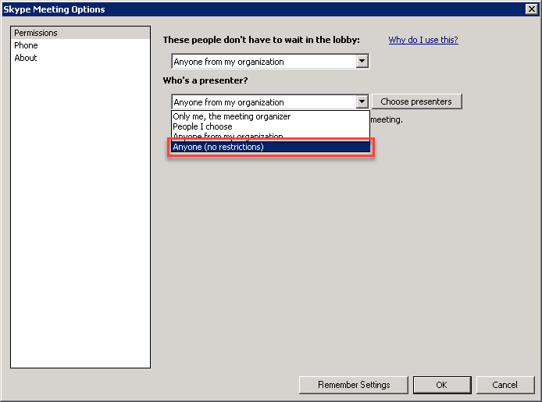 Below is an example of a meeting generated via the Teams Outlook add-in. Small update, the Microsoft Ignite presentation on video interoperability with Skype for Business on-premises and online has now been posted. This was a joint Microsoft, Polycom and Pexip session whereby existing certified solutions were explained (including an overview on the certification program itself) and finally an update on the future direction of video interoperability with Microsoft Teams. This week I’ll be at Microsoft Ignite, Microsoft’s biggest IT Pro event of the year and it’s always a good time to catch-up up with customers, industry folks and learn a thing or two about what’s coming next from Microsoft’s technology stack. This year Polycom will be sharing details around some new devices and technologies that they’ve been cooking up, one of these being near and dear to me a new RealConnect solution – RealConnect Hybrid. But before we dig into this let’s level set. Skype for Business has gotten to a point whereby it’s become an extremely credible conferencing platform, delivering voice, video and content (including PowerPoint sharing, polling and white boarding). The experience for Windows, Mac and mobile users is second to none. The gap that Microsoft certified vendors (Pexip and Polycom) address is the ability to bring non-native Skype for Business devices into these meetings, for many meetings this isn’t a requirement so simplicity of deployment and minimal technical foot print is key. These non-native devices (VTCs) are typically expected to have a longer return on investment as they’re often embedded into existing meeting rooms and handled as integrated A/V solutions. Back in April (2017), Polycom launched RealConnect for Office 365. 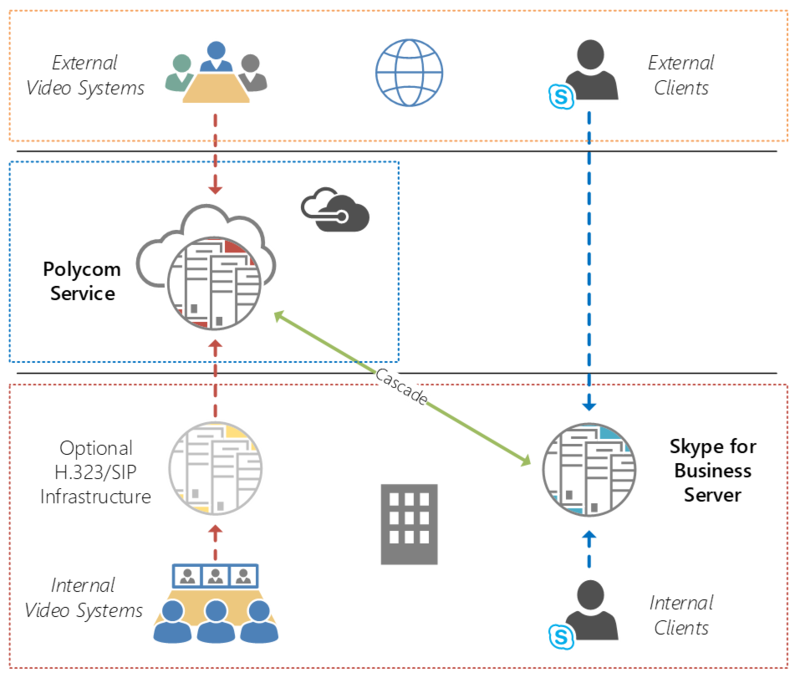 It was the first (and still the only) solution that allows Office 365 users that leverage Skype for Business and Exchange to schedule meetings with integrated video interoperability capabilities – Polycom also nailed the simplicity piece as the entire stack is hosted within Azure (with little to no on-premises technology foot print). Whilst this was received extremely well, it became immediately clear that something similar needed to be made available for Skype for Business on-premises customers. Again, I go back to my previous statement – “simplicity of deployment and minimal technical foot print is key”. RealConnect Hybrid is a new solution that facilitates this requirement, in this topology Skype for Business is on-premises and Exchange can be either on-premises or online. Customers can even choose to mix both RealConnect for Office 365 with RealConnect Hybrid if they have a Skype for Business Hybrid topology or when they’re slowly migrating to Microsoft’s cloud. The illustration below, credit: Jeff Schertz, outlines the RealConnect Hybrid topology. Unlike other solutions in-market this does not require Skype for Business meeting invitations be sent to a room or service mailbox, the in-meeting experience is identical to RealConnect for Office 365 (gateway mode) and the Polycom platform automatically joins the on-premises Skype for Business meeting via the meeting scheduler’s Edge Server. This multi-tenanted Polycom platform is at time of writing deployed globally within five Azure data centers (see below) and is not only fully resilient but ensures the closest instance to the VTC is leveraged to reduce Internet hops. This is expected to continue growing over time. The RealConnect Hybrid solution is powered by the Polycom Cloud Relay, this is a minimal footprint virtual machine that houses a number of Polycom micro-services – two of which will be relevant to this solution. RealConnect Relay – this component is integrated with one of the customer’s on-premises Skype for Business (or Lync 2013) Pools. This configuration is performed via Microsoft’s Trusted Application integration and once deployed meeting join information is relayed securely to Polycom’s hosted service. Only meetings whereby VTCs join are relayed and information that is transmitted is less than a few kilobytes in size! One Touch Dial Service Agent – this optional component can be enabled for Cisco VTCs that require the need for Click-to-Join capabilities. The use case here is whereby the Skype for Business invitation is sent/forwarded to a resource mailbox assigned to a Cisco endpoint, this can then be translated by a new Polycom multi-tenanted cloud hosted service. I’m really excited for this new solution to come to market and seeing how deployment of Skype for Business video interoperability can no longer be a huge undertaking with this solution capable of being up and running in under an hour. Both RealConnect Hybrid and the One Touch Dial Service are set for general availability before the end of the year, with betas starting soon. If you’re attending Ignite this week feel free to come say “Hi” at the Polycom booth and if you’re keen to learn more about Skype for Business video interop, come to a session I’ll be co-presenting together with Doug Anderson, Srividhya Chandrasekaran (Microsoft) and Marius Nilsen (Pexip) on ”Video Interop for Skype for Business …and path forward to Microsoft Teams” Friday Sep 29th at 9am. 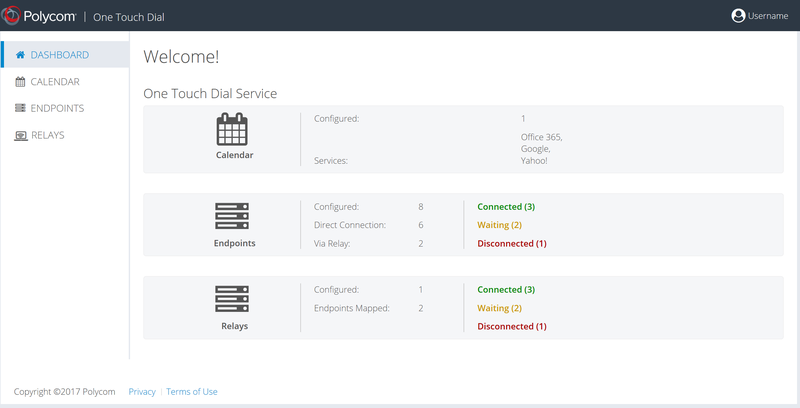 For folks that are either trialing RealConnect for Office 365 or have purchased this solution from Polycom they may already be aware that this solution leverages a new scheduling service from Microsoft – referred to as “Modern Scheduling”. This can only be utilized via an updated Skype for Business add-in which is shipped as a part of Office 2016 Click-to-Run. Some time back I wrote up a blog post on some of the new IP Phone Policies introduced within Skype for Business Online. Since then IP Phone vendors have added additional “3PIP” functionality, one of which is Device Lock. Device Lock has for some time been available within Lync Phone Edition devices, but more recently this is something which is not only certified by Microsoft but also supported within Skype for Business Online. Many IP Phone settings can be managed out of band via 3rd party provisioning servers, but if you’re registering the device directly and utilizing factory settings some of these parameters can be set via Skype for Business Online PowerShell. So with Device Lock Microsoft has now exposed the Get-CsUCPhoneConfiguration cmdlet. Note: it takes about 15mins for the new policy settings to take effect.